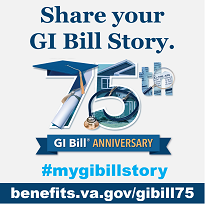 The GI Bill is available for training at non-college-degree Institutions. This includes the training in areas such as HVAC repair, truck driving, emergency medical training, and barber/beautician school. The payment amount varies depending on the GI Bill program you are utilizing and the type of non-college-degree school you are attending. Payments are issued monthly after the training is completed. The monthly entitlement is based on the number of clock hours you attend training during each week of the month. Under this program, for programs offered at non-degree granting schools, the benefit pays the actual net costs for in-state tuition and fees or national Maximum, whichever is less. Monthly housing allowance (MHA) is paid based on the location of the school. Up to $83 per month is available for books and supplies.